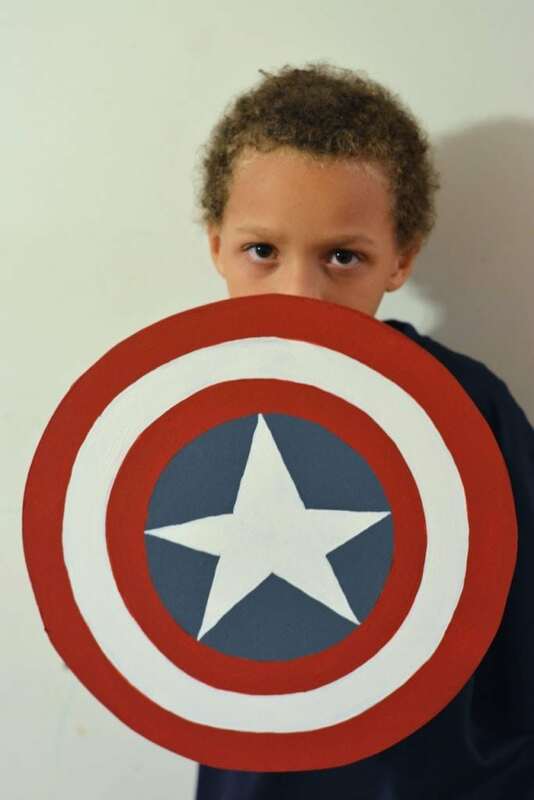 My son has asked me to make him a DIY superhero shield. I have to admit that I rarely buy my kids toys and I would prefer to make DIY Halloween costumes. I know, I’m a horrible mom that I don’t spoil my kids with commercialized stuff ;). But I’ve learned that the things they appreciate the most are the things that I make for them. Plus, it gives me an excuse to get my craft on. 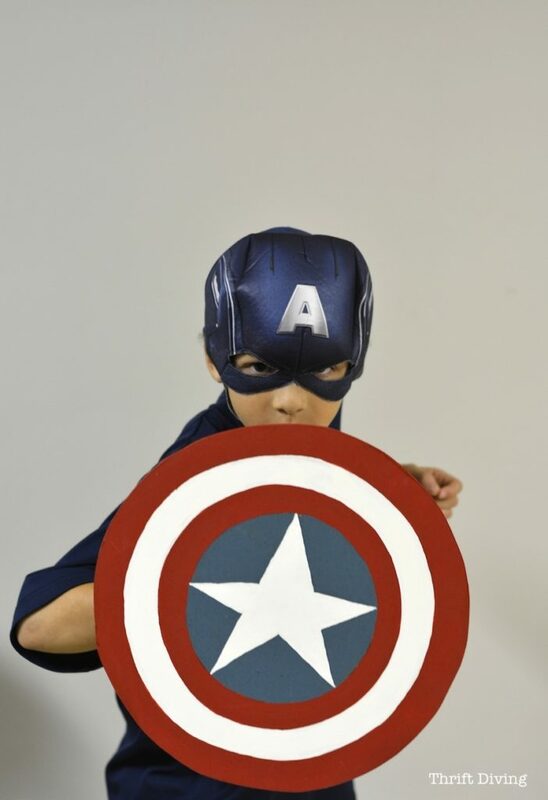 Recently I made some wooden swords and shields for my kids, so when Halloween rolled around, my oldest son wanted to be Captain America and asked me to make him a Captain America shield. Well, of course I can, sweetheart! What’s funny is that when my son saw the shield, he told me, “Mommy, when you said you wanted to make this, I thought it was going to look messy or something. But it turned out really good.” HA! Well….uh….thanks, baby, for the vote of confidence! Total Cost: About $7.00 each! 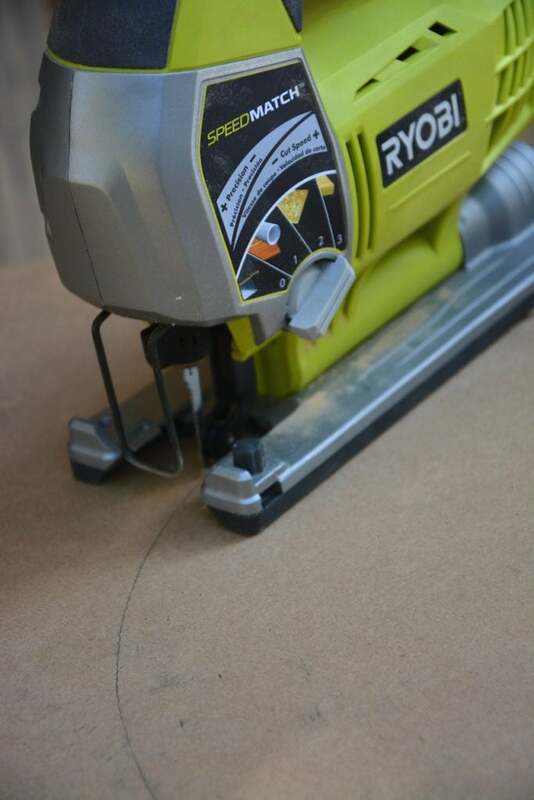 If you’re just starting out with power tools, then you have to check out my in-depth tutorial on how to use a jigsaw. It includes everything that you’ll need to get started with a jigsaw. 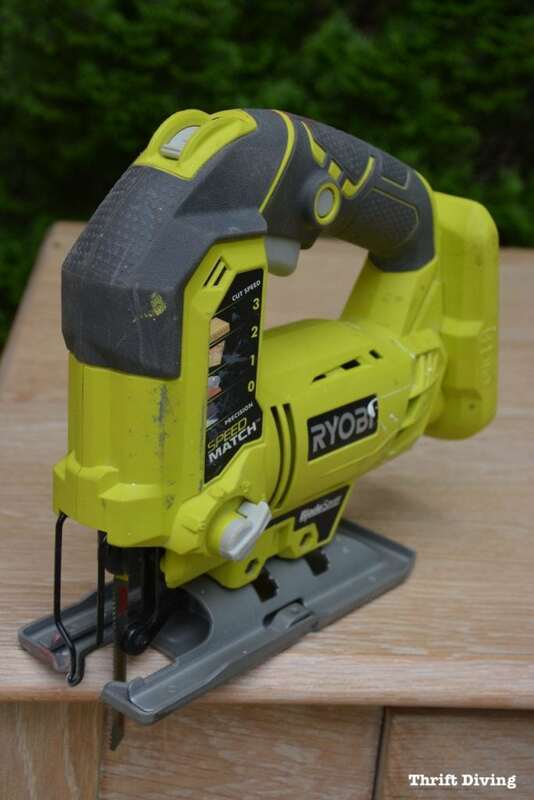 If you’re already familiar with using a jigsaw, then have a great time! 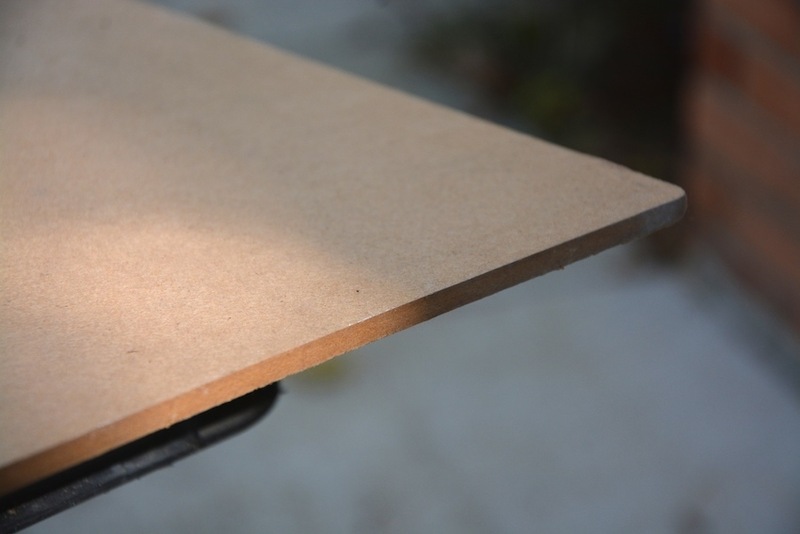 MDF stands for Medium Density Fiberboard. This is what it looks like. You want to get 1/4″ thick. I just happened to have some of this lying around from a big stash I had found on the side of the road (YES, roadside, baby!!) nearly 2 years ago. 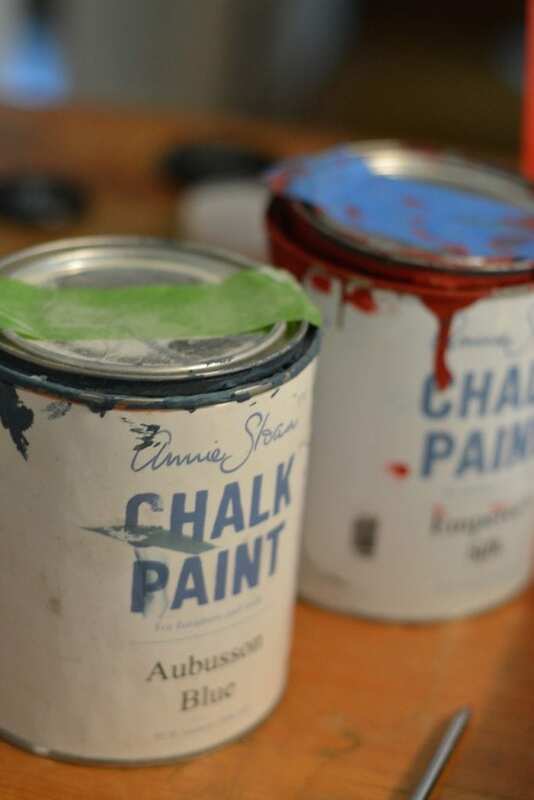 I’ve made tons of projects from this stuff, and in my opinion, it’s the best to have around. The reason the 1/4″ MDF is best is because it’s light-weight enough that it’s not going to tire out a kid’s arm from holding it. 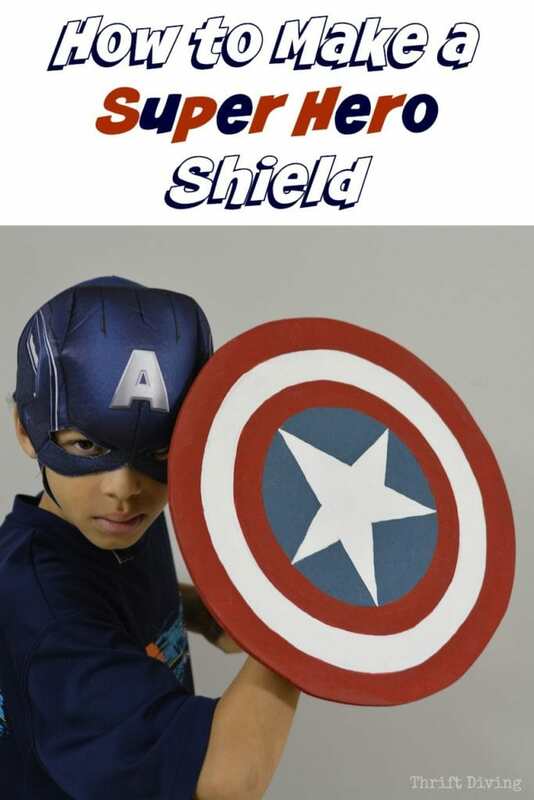 I think the MDF size is big enough to make two shields, so if a piece costs $6.97, it’s only $3 per shield! But at least cutting it is easy with the jigsaw and a fine blade for easily making close turns and cuts. 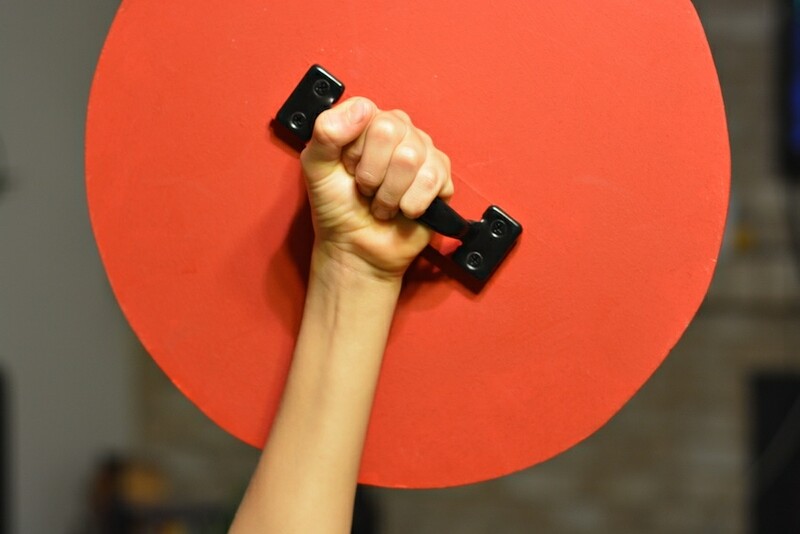 To make a superhero shield handle, you’ll want an industrial handle. 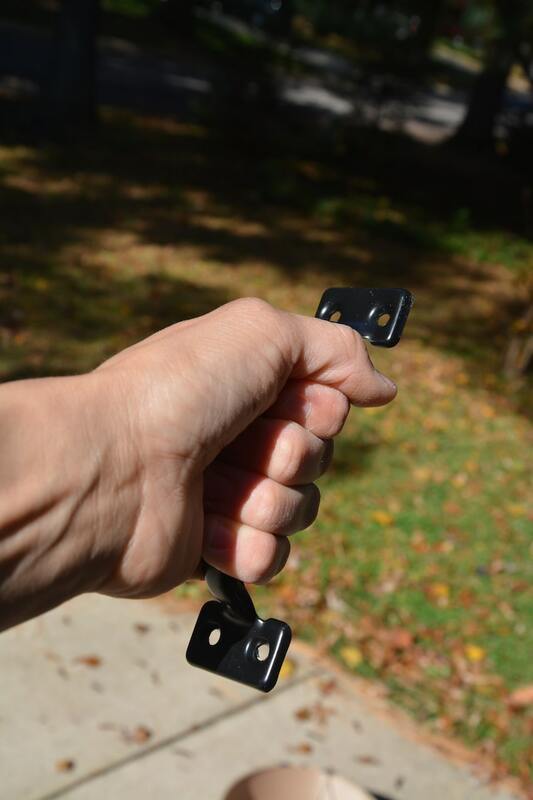 Handles from the fancy pull section all have invisible screws. We don’t want that. Those handles can’t be attached properly because of the hidden hardware. Instead, we need these industrial ones that can just be screwed down on top, like this pic below. They’re also wider and more comfortable for kids to handle. a. 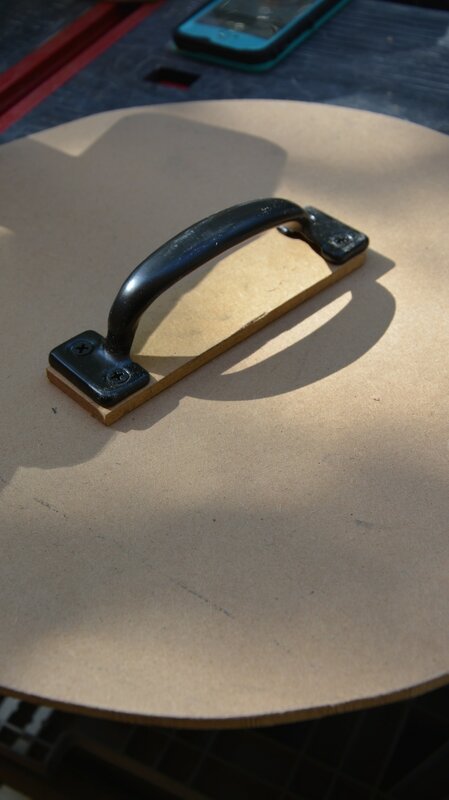 Cut a small piece of MDF for the handle to sit on. You need this or else the screws will go right through to the other side when drilling them in. b. Paint it. (In this project, I didn’t paint it first because I was in a hurry but ideally, you’ll paint it before you attach it. Now just sit your handle on top of the little piece you cut as a platform, and screw it in with the 4 screws that came with the handle. See how my son easily grasps it? They’re wide and comfy and strong. I love these handles! 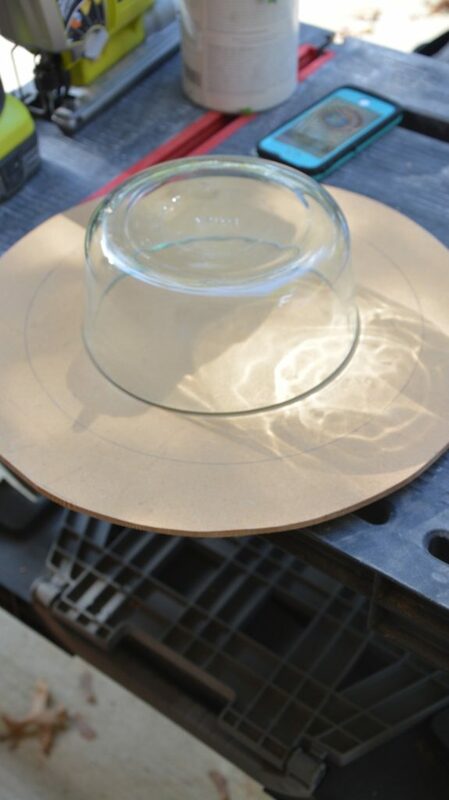 Here I was using a bowl as the template. I couldn’t find my protractor, so I guess the bowl will have to suffice! I struggled like you wouldn’t believe to try to get that stupid star to be right!!! I was pressed for time, so ended up free-handing a lot of it. YIKES! I used Annie Sloan chalk paint on the top — Emperor’s Silk and Aubusson Blue. For white, I just used a craft paint, since I’m all out of Annie Sloan whites. These are such awesome toys for kids. Not just because they cost, like, no money to complete (and only about 1 hour of your time). But they’re just really cool and to say that you made it with your own hands is such a rewarding feeling! 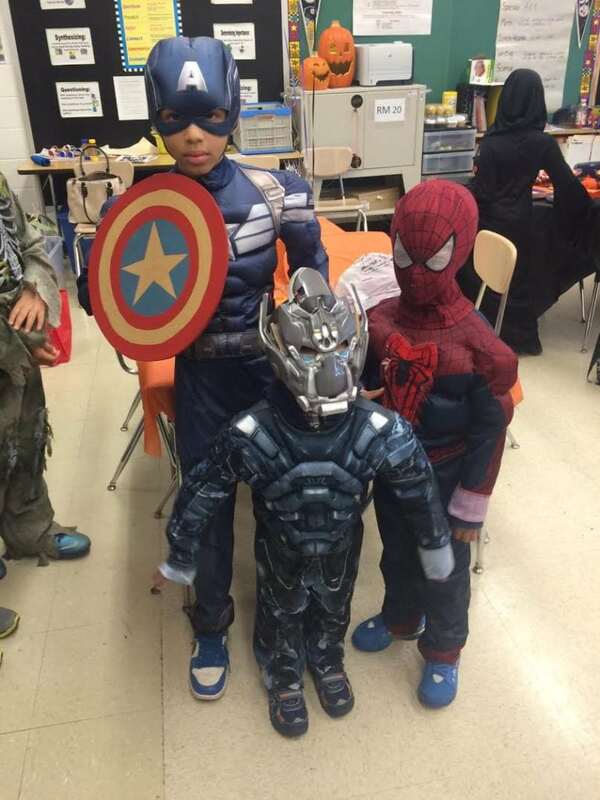 Here are all my boys at my oldest son’s Halloween party at school. They had such a good time! When we got home later in the evening, I added the white paint that I didn’t have time to add earlier in the day. Playtime – My kids love playing with these things at any time, not just Halloween! Okay, so what do you think?? Would your sons, daughters, grandkids, nieces, nephews love this? 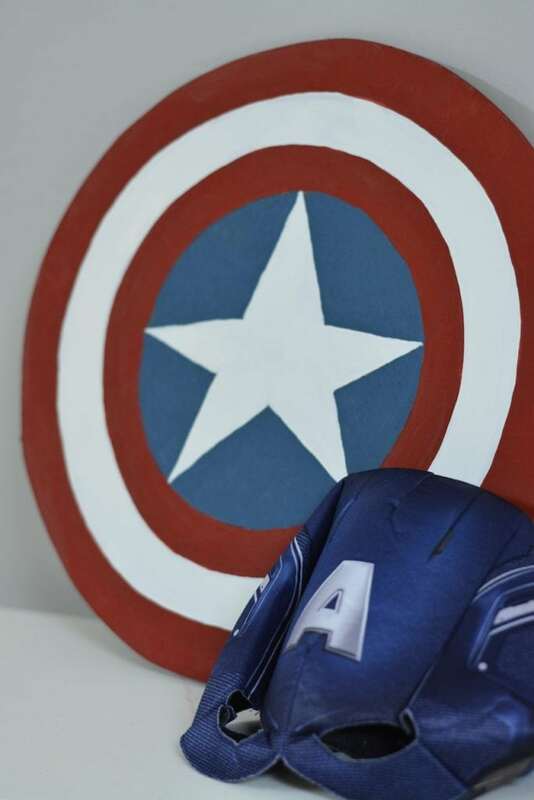 Leave a comment below and let me know for whom who’d you’d love to make this DIY superhero shield. 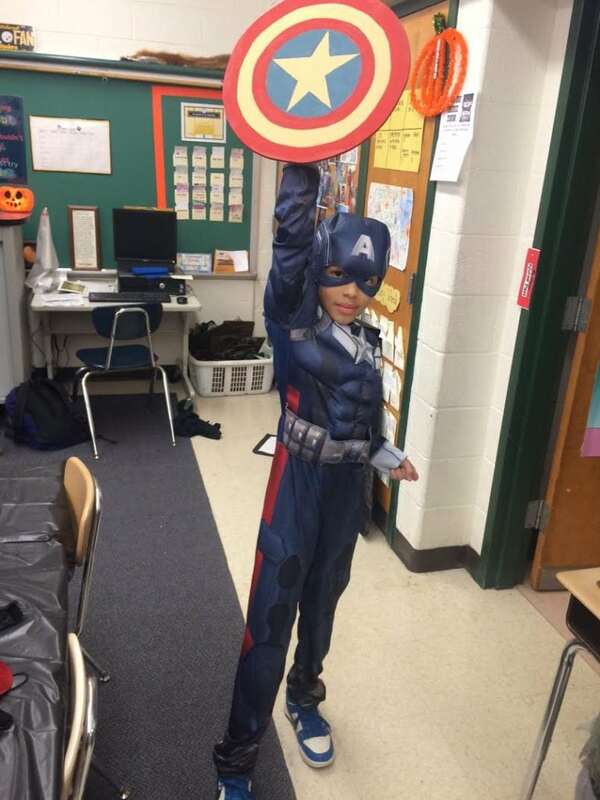 Love the shield! You are so talented and I want to be you when I grow up and I’m already way older than you!!!!!!!!! Awww….thank you, Kathy! LOL I’m glad you like it! They’re so easy to make, and any kid would love it. I know mine do!! 🙂 Thank you!